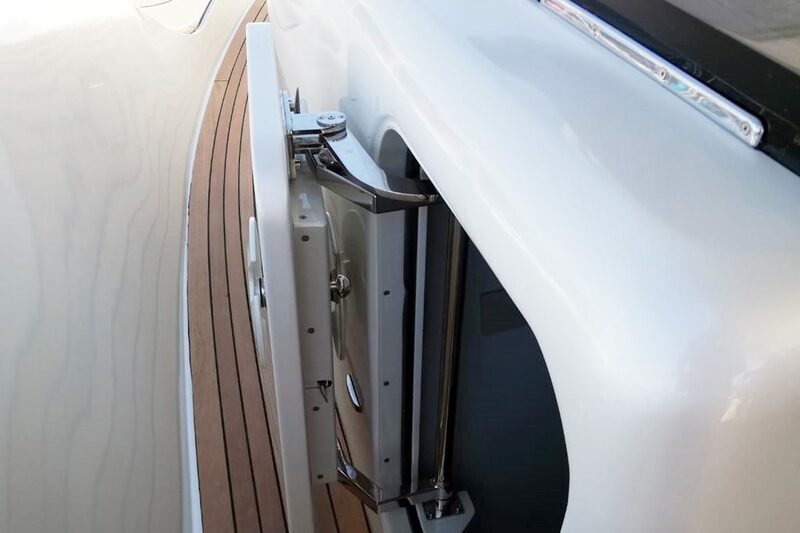 Characterized by rounded shapes and generous spaces above and below the deck, EOS 46 is the first model of the newborn EMG Marine Group. 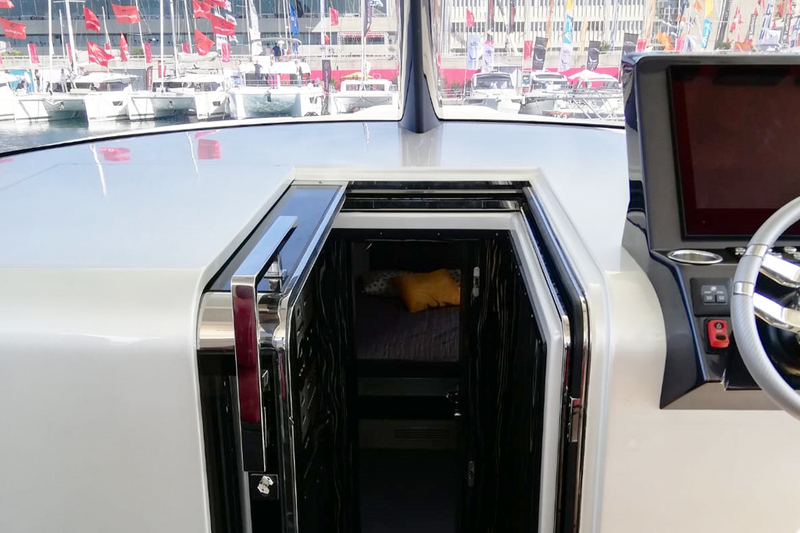 Penned by Carlo Galeazzi the EOS 46 is the result of a deep study that combines innovative architectural and naval engineering solutions with analysis of demand trends to create a performing and elegant yacht with the outmost comfort during navigation. 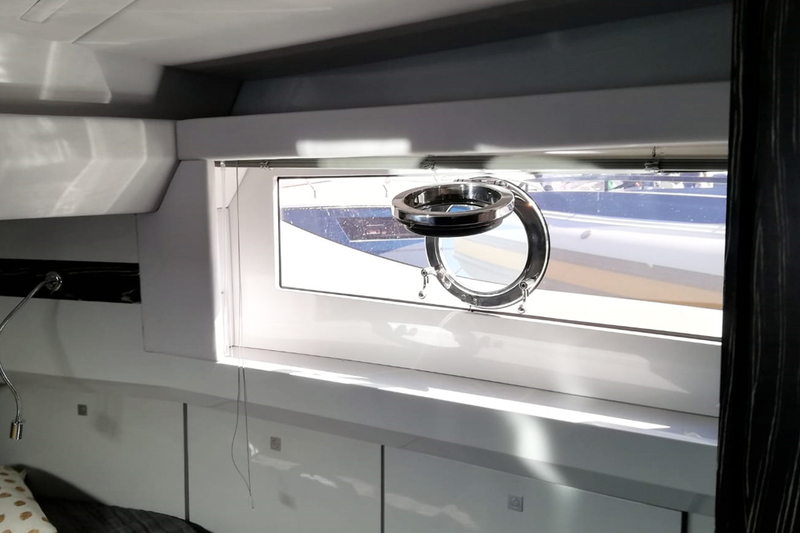 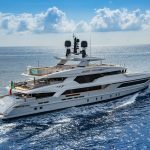 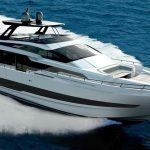 Our solutions installed on board have been developed along with the overall development of the yacht thus creating a tailor-made dress for the EOS 46. 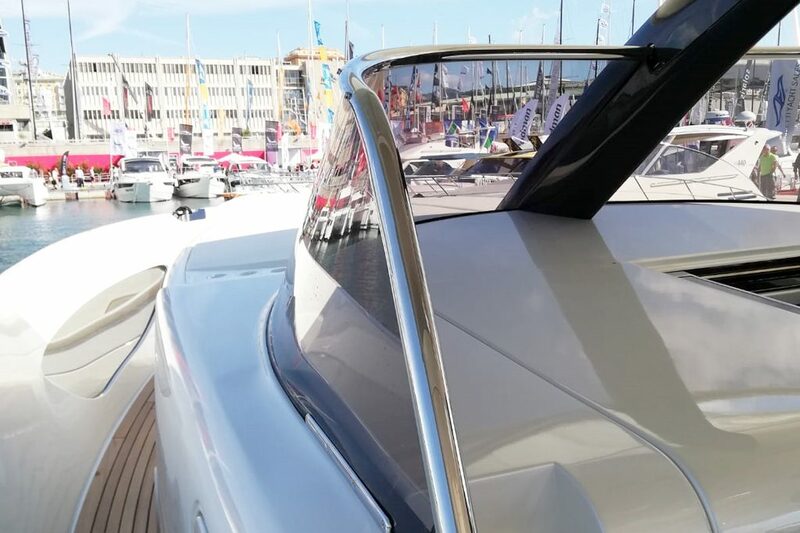 The most visible are the shaped windshield built in stainless steel and the two large windows with round flush portholes that characterize the bow. 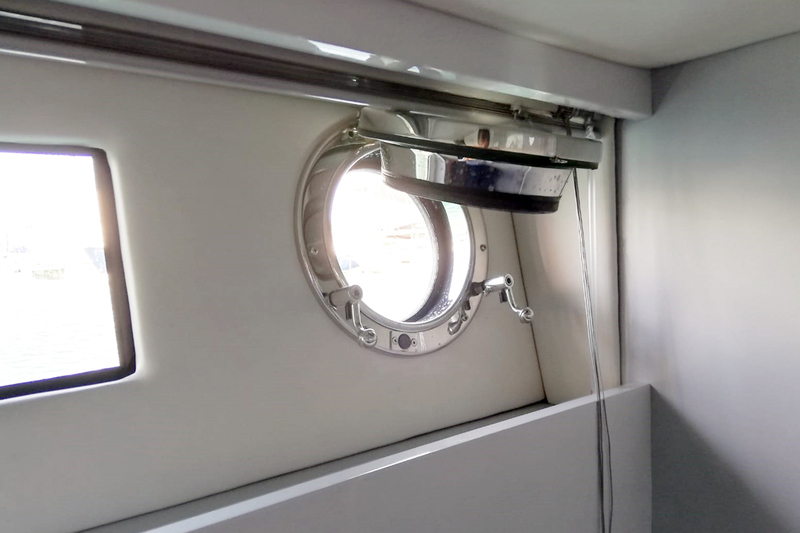 The other round portholes are installed in the cabins, two for the owners and guests and one for the crew: the descent to the cabins is obtained thanks to the sliding companionway on the wheelhouse and the pantographic door on the port walkway designed to take the little amount of space but ensure a comfortable passage.